Description: After having your helmet decorated with even more spikes, it is highly recommended you look before you grab it from your inventory. 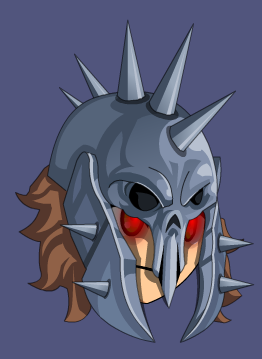 Also see Horcish War Helm. Thanks to Hades4477 and Hina.